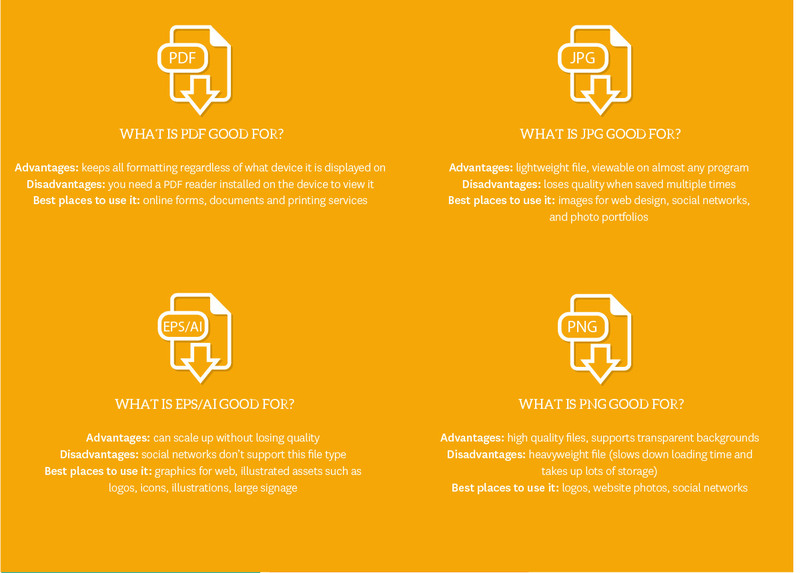 Why are there so many file formats, and how do you figure out what you need? Part of the reason for a large variety of file types is the need for compression. Large file types mean more disk usage and slower downloads. Another reason for the many file types is the variety of colours the image contains. 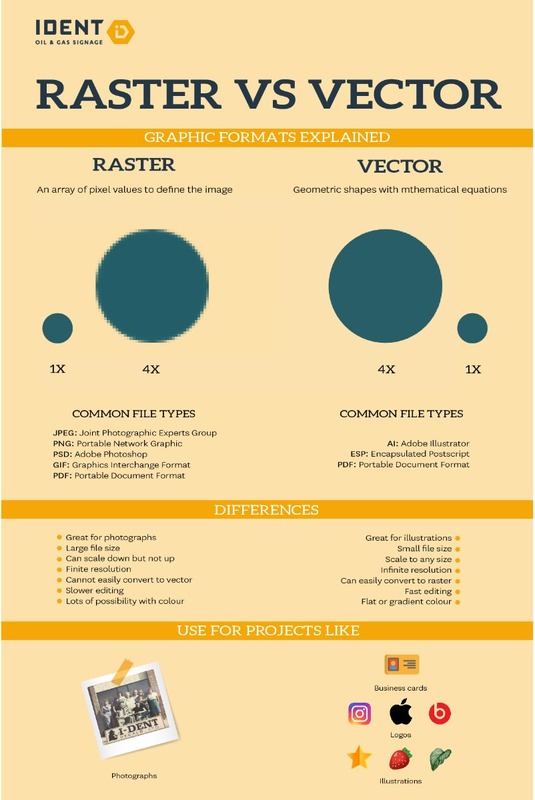 This graphic will help you understand what you need for any project. Not sure what file type you need to send us for your project? Give us a call, we'd love to help!